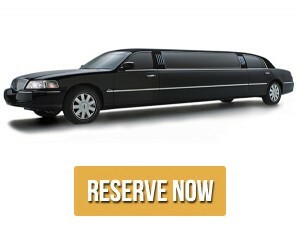 Black Car Limos offers professional and fun Night Out Limos! Booking a limousine with Black Car Limousine Services is an excellent way to make any type of special occasion even better. Luxurious yet surprisingly affordable, you’ll find that Black Car Limousine Services is a top-notch limousine service company ready to take you and that special someone anywhere you both want to go, for as long as you both want to be there. Imagine the look of surprise you’ll see when a Black Car Limousine pulls up to your honeys front door. And then imagine how romantic it’s going to be, just the two of you inside, gazing into each other’s eyes. Think how you’ll be able to fully focus you attention on that special someone sitting beside you because the limo driver is up in front, dealing with the traffic lights and the traffic and all those other distractions on which you would normally focus your attention. Once you’re both seated comfortably in the back of your Black Car Limousine, glass of champagne in hand, just relax and enjoy your special evening. The city of has so much to offer. Cultural events, sporting events, concerts, movies, museums, fine dining, comedy clubs it’s all right there. So when you’re ready to go, why not go in style? Even if you just want to head up into the foothills so you and your honey can gaze down on the brilliant city lights, your evening is sure to be a night to remember when arrive at your destination in style. Here it is. When you ride along in a Black Car Limousine, you really can feel like royalty. It’s okay your allowed to indulge without feeling guilty or selfish. And besides, when was the last time you or your significant other truly felt like royalty? If you can’t remember, then it’s definitely been way too long. You don’t have to be a blushing bride to justify hiring Black Car Limousine Services. Anyone can, so just go ahead and do it! You really don’t need a reason, but just in case you do, here’s a rundown of some of the times when it might make sense to spend the evening driving around town in a limo: birthdays, anniversaries, wedding announcements, a new job or promotion, the realization that you’re expecting, or a holiday like Valentines Day, Mothers Day, Fathers Day, Valentine’s Day, or New Years Eve. Heck you could even go out on Groundhog Day if you wanted to! The only reason you need a reason is because YOU think you do. You work hard and you deserve a break and that’s all the justification you or anyone needs. If you and your sweetie need time to reconnect, then that’s a good enough reason, too! Just do it and stop wasting time thinking that you need a reason to hire Black Car Limousine Services!